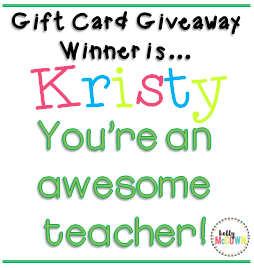 Congratulations to KRISTY for winning the $10 TPT Gift Card! Would you like to win a $10 TPT Gift Card? Enter your email on the right to "FOLLOW BY EMAIL"
and be the first to know about the next Gift Card Giveaway!